"Embark on a classic 3D platforming adventure as you set sail on an airship to collect Explorer Medallions and unravel the mysteries of the Milky Way Globe. Explore uncharted lands, and meet wild new characters, while on a journey to collect all the medallions and become a true Master Explorer! 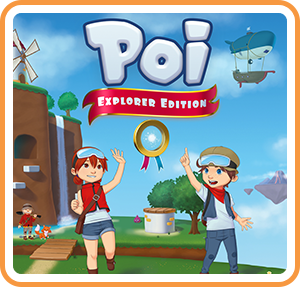 Explorer Edition Exclusives: - Extended Storyline - More challenging boss battles - Unlockable Soundtrack and Digital Art Book - New costumes and hats only available within the “Explorer Edition” - Joy-Con motion control support"
Where can I buy Poi: Explorer Edition physical/digital?